Prezentare In her 39th best-selling novel, Danielle Steel brings to life the story of three women, old roommates from college, who come together after twenty years, one summer at The Ranch. They had been inseparable in college, Mary Stuart, Tanya, and Zoe. But in the more than twenty years that followed, the three had moved on with their lives, settled in different cities, and found successful careers and new roles as mothers and wives. By chance, each would find herself alone for a few weeks one summer, wrestling with the present and the past. At a sprawling ranch in the foothills of Wyoming's Grand Teton Range, the three women come together and find courage, healing, and truth, and reach out to each other once again. Despite the honesty they once shared, now pretense between them runs high. Mary Stuart Walker, married for twenty-two years to a Manhattan lawyer, kept herself busy with volunteer work, and now masks the loneliness that consumes her life. A year has past, and Mary Stuart still hasn't gotten over the guilt, or the fear that her husband will never forgive her for their son's death... Tanya Thomas, an award winning singer and rock star, enjoys all the trappings of fame and success--a mansion in Bel Air, legions of fans, and a broken heart. All the Grammy awards in the world can't make up for the children she wanted but never had, the men who have taken advantage of her, and just gone along for the ride, and still are... Dr. Zoe Phillips has her hands full as a single mother to an adopted two-year-old, and as a doctor at an AIDS clinic in San Francisco. Predictably, as they all know, she is as liberal as she ever was, and marriage was never a dream she coveted or shared with them. Tending to her patients is a full-time job that leaves Zoe little time for herself--until unexpected news forces her to reevaluate both her future, and her current life. But despite the changes in their lives, their friendship is still a bond they all treasure and share. For each of the women, a few weeks at the ranch will bring healing and release, as old hurts are buried, ancient secrets revealed, and love replaced or renewed. 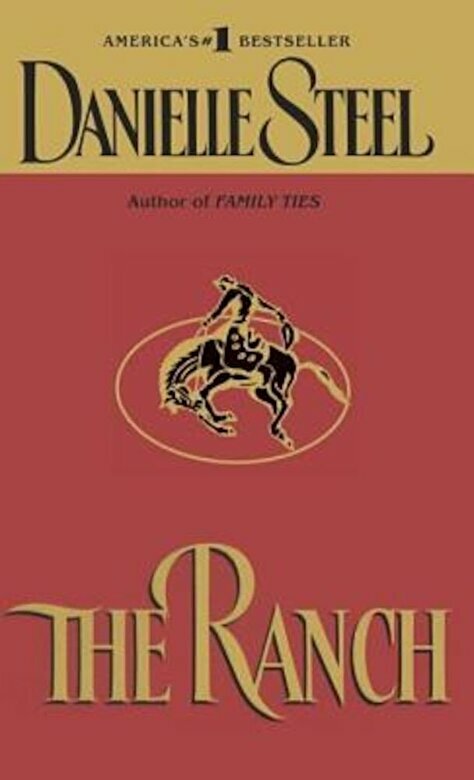 In "The Ranch," bestselling novelist Danielle Steel brings reality to the meaning of friendship, with dramas whose truths we all share.